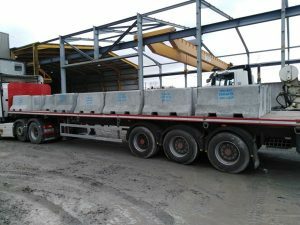 Fogarty Concrete has been successfully in supplying a new precast product launched last year the concrete road barrier. Based on the same principle as the motorway median barrier this product allows flexibility in traffic management, pedestrian control and road blockages. 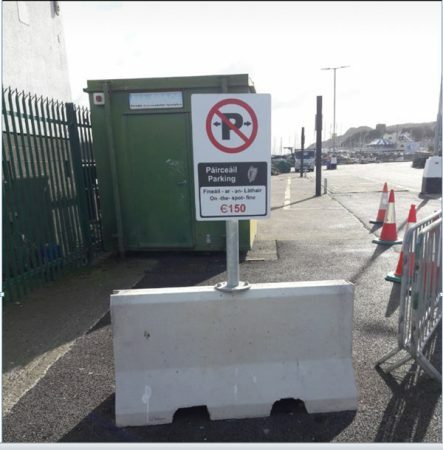 Easily moved using pallet forks and weighing 900kg this product has been used by Howth Port and Dublin Port with their everyday management of the port traffic and pedestrians and display of safety signage.